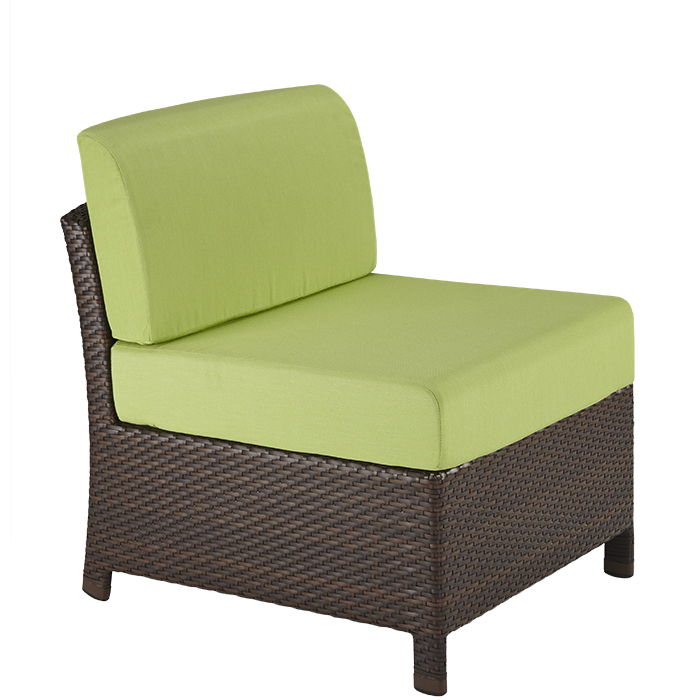 Vela Woven Armless Module serves as a gorgeous standalone seating option or can easily be paired with Vela Modular pieces for a more communal outdoor option. Vela pairs edgy designs of curved backs and arms, and arched angled legs with traditional woven materials, creating a more eccentric setting. Vela is available in the Strand Synthetic Weave, which is weather-resistant and available in three colors.